My final share this week for Shafali’s Creativity Carnival is this sketch I made last Sunday (also my #DrawingAugust challenge response). It was the only bell around near enough that I could draw from observation. It’s another rough attempt (work-in-progress piece) that may or may not ever be continued or finalised. My other challenge responses this week can be found here for bedressed and here and there (at Fishing4Soup, my new blog!) Links to follow when back to puter! when I might also manage to crop that pic and present a bit better! 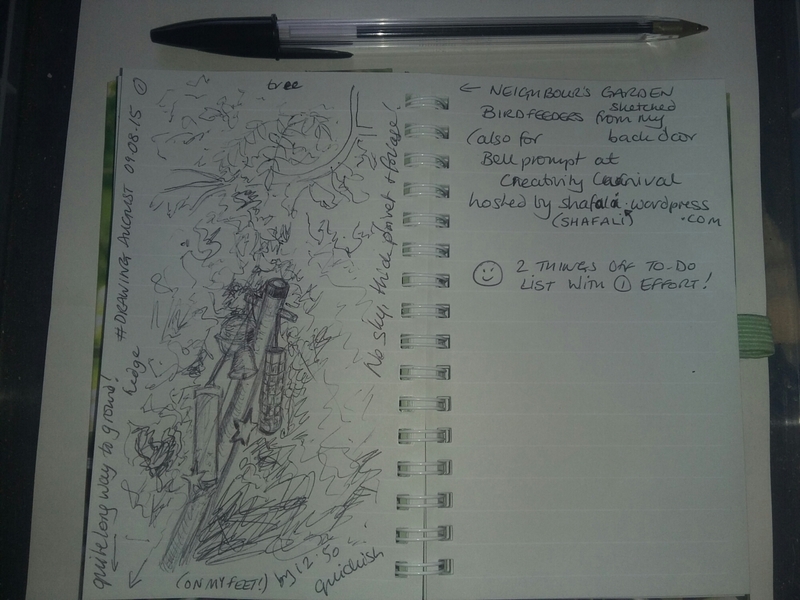 Posted on August 14, 2015 by Colette B	• This entry was posted in challenges, Creativity Carnival and tagged #DrawingAugust, challenge, Creativity Carnival. Bookmark the permalink.